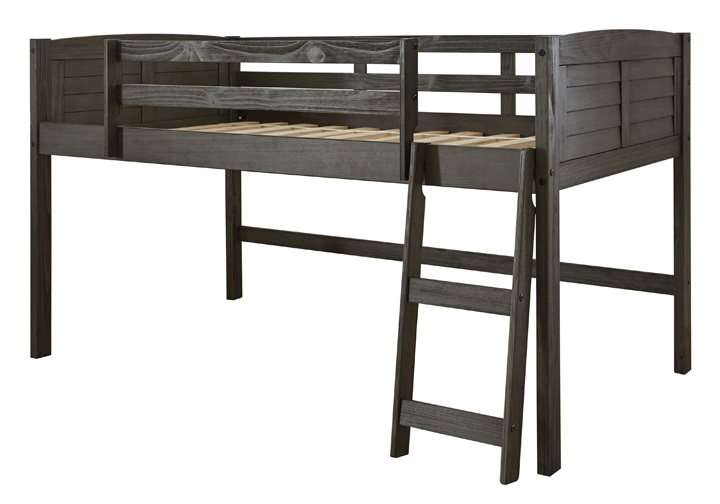 Sporting a distinctive weathered gray finish and charming louvered details, the Caitbrook twin loft bed frame is sure to raise your expectations when it comes to kids furniture. 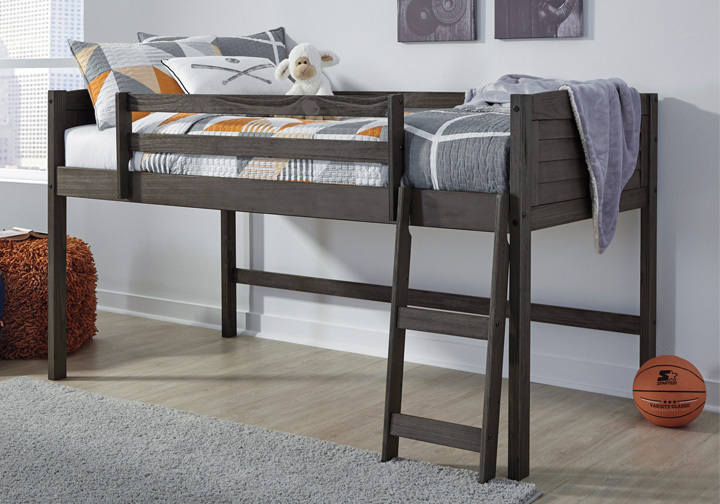 Complete with a sturdy ladder, quality wood slats that eliminate the need for foundation/box spring and protective guard rails, this kids loft bed frame is a warm and inviting choice in casual rustic style. Mattress available, sold separately. *Loft Bed frame only. Mattress not included. Modular twin size loft bed with a casual rustic design. Bed panels and drawer fronts feature a louvered look. Made with pine solids, pine veneers and engineered wood in a weathered gray finish. Bed features guard rails, roll-slat support and ladder. Modular three-piece storage cases fit neatly under bed and can be configured in multiple ways. Storage includes (1) open bookcase, (1) 2 drawer bookcase, and (1) 3 drawer chest.